The family owned winery on the outskirts of Òdena (Igualada) has been thriving since the 13th Century. Now known as Mas Macia, its name has changed several times over the years while being passed from generation to generation of nephews and sons. However the value and appreciation of its heritage has not withered in the slightest which is evident by the continual use of the old cellars and the preservation of the original country house. The property spans over 200 hectares with the use of 35 hectares of vineyard, the family enjoys the advantages of having these vines grown close and this means a quick delivery to the cellars. 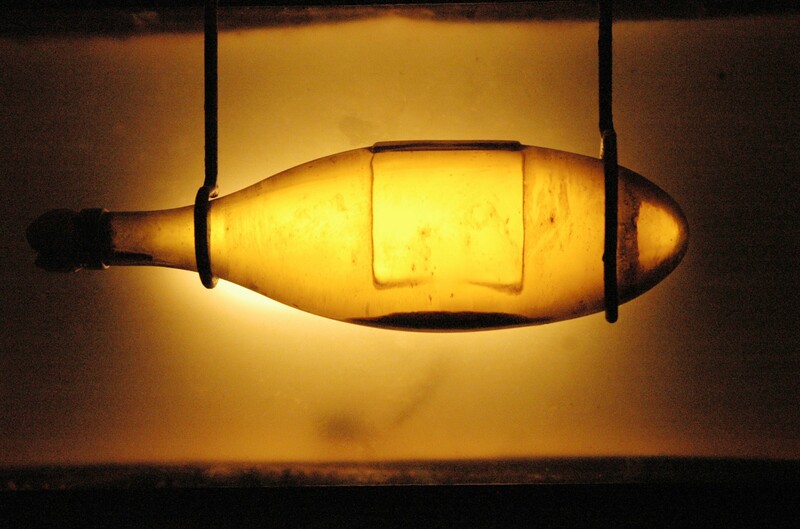 It was in the late 1920´s that the history of Cava first began at this winery. Originally it was produced and sold only in the local region but its success grew from there and as it has since been passed through the family and subject to the innovation of the winemakers along the way. It is now the key to their success, producing over 600,000 bottles a year with 90% of these being exported. 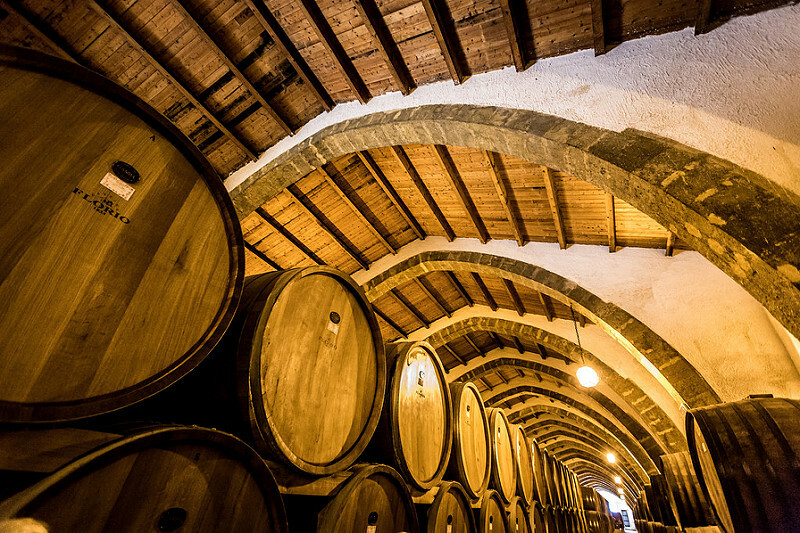 The underground cellar built in 1547 still to this day functions as the place for these Cavas to undergo the fermentation period required to produce the high quality Reservas and Gran Reservas. 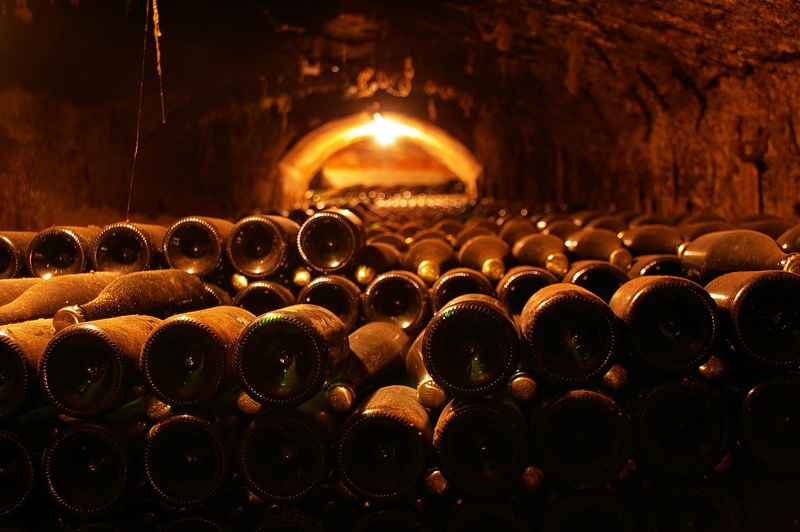 The impressive hand built cellar with its interconnecting tunnels holding 60,000 bottles each is incredible to walk through. You can appreciate the work that must have been put into such a system, un-phased by the years, apart from some spider webs hanging from the corners and the damp puddles in the path. A treat for visiting tourists is the interactive activity set up where they can not only see how a Cava was produced by the ancestors of this family but they can create their own, cork, label and all to take home as a souvenir. Another truly unique experience is the insight into typical Catalan life from another time. The house in its very design tells a story of the lifestyle lived. In the centre of the house is a large open space where animals would be herded through. The bedrooms are to the side of the first floor, where it could be kept the warmest and the third floor is used for grinding cereals. Beyond this, the house is filled with pieces of intrigue from the dowry cases of the girls of the family to the enormous dinner set with each piece individually hand crafted. 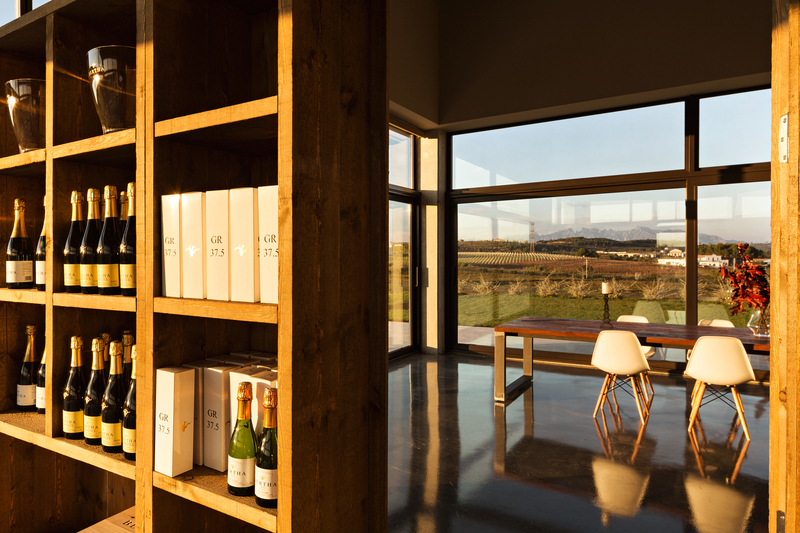 Beyond just another visit on the wine trail, Mas Macia presents the perfect setting for a holistic Catalan experience. Whether it’s a tasting of their Cava stood around a wine barrel in the front garden, or for those visiting in the summer, they can be treated to a show of traditional Catalan dances. The Empordà wine region fans out north from the town of Figueres (best known for housing the Dali Museum) in the north-eastern corner of the Girona province and is directly adjacent, to two French DOs: Banyuls and Côtes de Roussillon. To the east, it runs to meet the sea. The climate is Mediterranean, with the influences of wet winds from the south and cold winds from the north, particularly the Tramontana, which can reach speeds of up to 120 km an hour. Archaeologists have suggested that vines were introduced here by the Phoenicians in the 5th century BC. The Romans and later the Benedictines developed them. The first Catalan wine treatise was written here in the Sant Pere de Roda Monastery in 1130 by Father Ramón Pere de Novas. With only a handful of wineries scattered around the Empordà it is difficult to find one to visit. The Catalan word for found is Trobat, so if you find Bodegas Trobat you will be able to say not only have you found a winery, but also one of the only 50 Great Cava producers in the region, namely Bodegas Trobat! 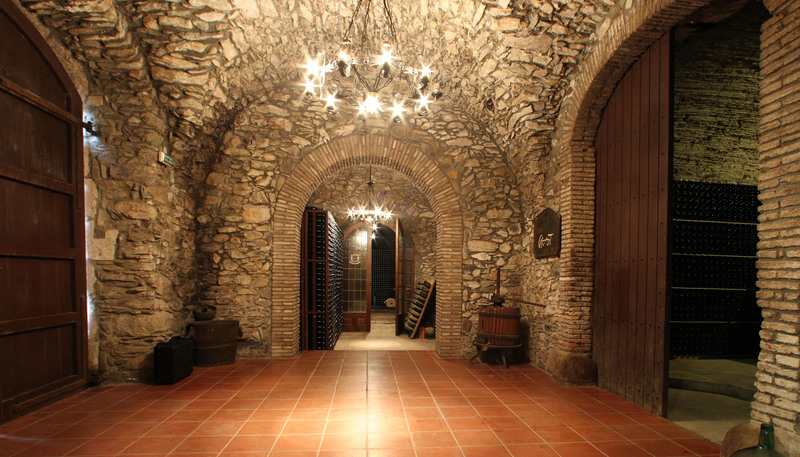 The history of Bodegas Trobat goes back to 1730 but the current winery building only dates back to 1986. Wine production started in the village of Garriguella, and today Bodegas Trobat acts as a leading winemaker and bottler of Cavas and wines in the DO Empordà. Traditional craftsmanship is combined with modern techniques in an ever evolving production of fantastic wines and Cavas from approximately 2,500 hectares of vineyards. The majority of grapes grown here are Garnacha and Carignan for reds and rosés, as well as Macabeo for whites. These traditional varieties are complimented by new grapes which have been introduced to the vineyards such as Chardonnay, Cabernet Sauvignon and Merlot. A visit to Bodegas Trobat will offer guests an opportunity to view the process of bottling and aging wine and the second fermentation in the bottle for Cava as well as disgorgement by hand. 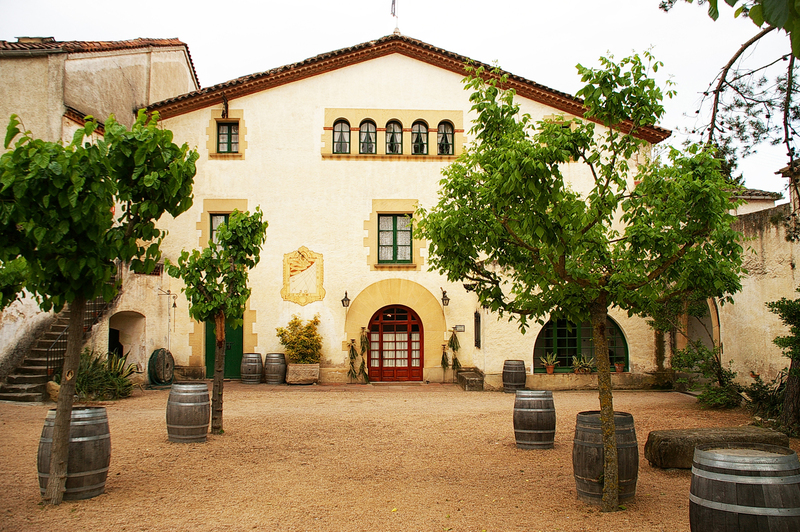 The house of Bodegas Trobat is a beautiful reflection of almost three centuries of wine making! The cool cellars are luminous, with chandeliers hanging from the ceilings and dark wooden door frames with crystal clear glass windows to see between rooms. 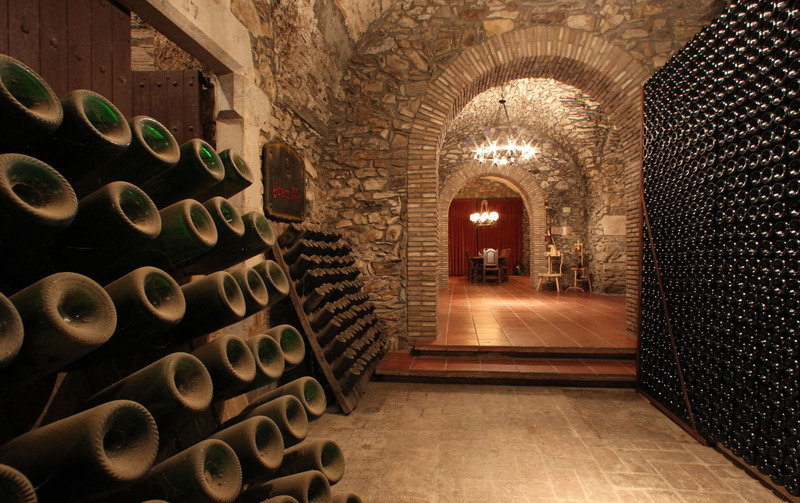 Beautiful, elegant wooden shelves with rows and rows of bottles of Cava and wine line the grey brick walls. 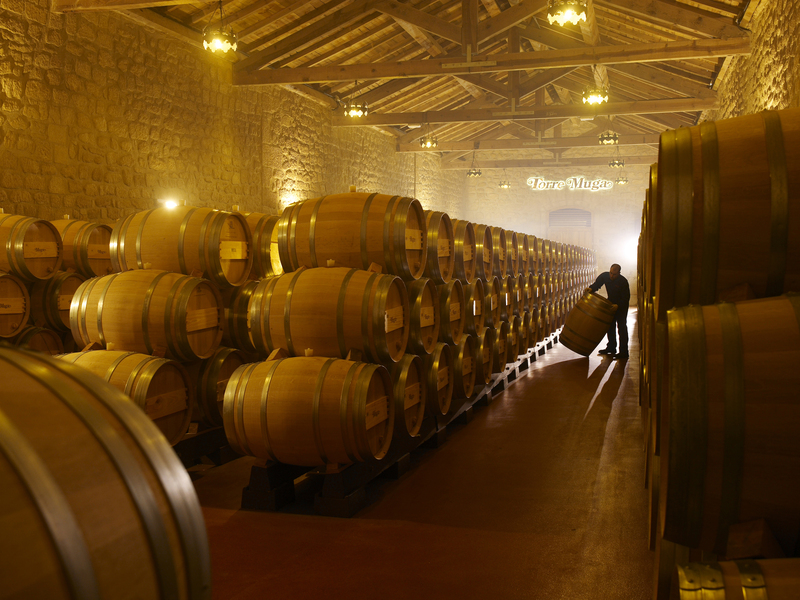 Each year Bodegas Trobat produces 1,000,000 bottles of still wine and 300,000 fantastic Cavas, continuing the tradition of exceptional wine that has lasted almost three hundred years. Tours are available and guests must contact the winery directly for more information. Bodegas Muga was founded in 1932 by Isaac Muga and Aurora Caño, a husband and wife team of passionate wine lovers. They began with an underground cellar. In 1969 they moved to a 19th century town house situated in Haro, alongside some of the most prestigious wine cellars of La Rioja. It was in that same year that Isaac Muga passed away, and his two sons Manuel and Isaac Muga took over the winery. Today, the latest generation of Muga: Manu, Juan, Jorge and Isaac all play a part in what is now three generations of traditional and skillful winemaking. Bodegas Muga is located in the heart of the Rioja Alta, at the foothills of Montes Obarenes. This region has outstanding conditions for grape growing, as it sits within the influences of the Continental, Mediterranean and Atlantic seas. These weather patterns harmonize in a way that positively affects the growing conditions for Bodegas Muga. The soil in this region is varied in terms of chemical and physical properties, which creates a special complexity in the grapes which grow here. Bodegas Muga vines are grown on their 250 hectare estate. They also have 150 hectares which are managed by their regular supplier growers. Tempranillo, Garnacha, Mazuela and Graciano grape varieties are grown for reds and Viura and Malvasia for whites. Located in the historic station quarter in Haro, the facilities are installed in an impressive two hundred year old building built of stone and oak. 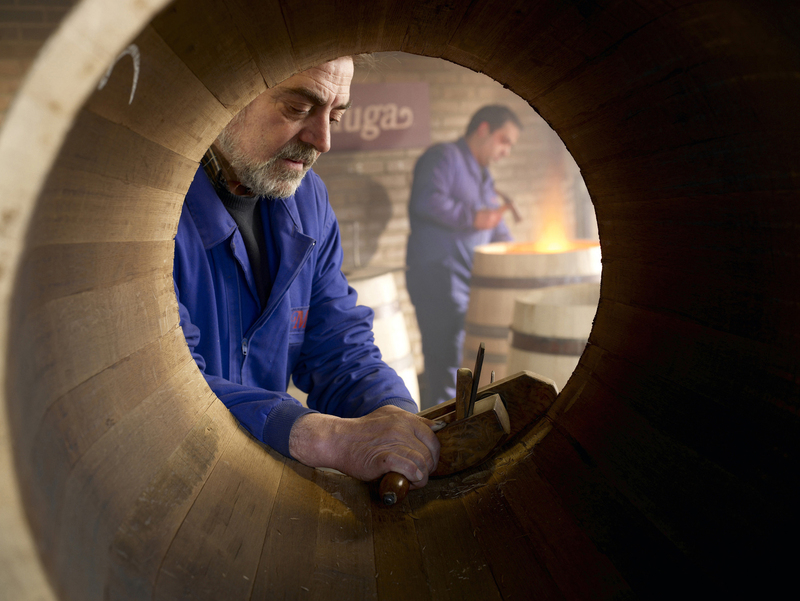 Oak is very important for Muga wines, and Muga is one of few Spanish wine cellars which can boast three coopers and a vat maker responsible for working the wood which lends a special elegance and delicacy to its wine. They have an impressive stock of 200 oak vats and 14,000 casks from all over the world, including French, American, Hungarian and Spanish. 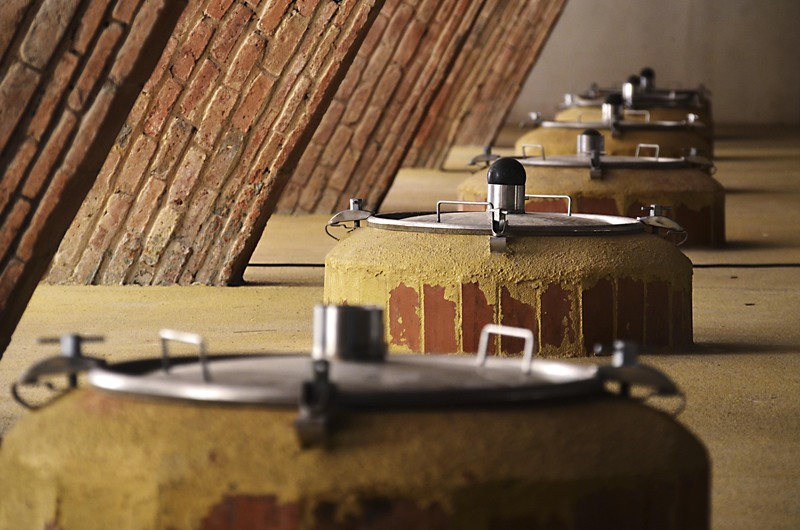 With three generations of wine making experience, Muga still uses many traditional wine making methods, such as using non-invasive pumping methods. Candle light is also used to see the transparency and brightness of Cava and determine if it contains remains of sediment. Espacio Torre Muga, a gorgeous three story structure with a stand alone tower and a beautiful, sleek and modern reception area, is where wine tourists can enjoy tastings and tours. Special care is taken to use soft and indirect lighting so that tasters may view the true colour of the wines they are enjoying. 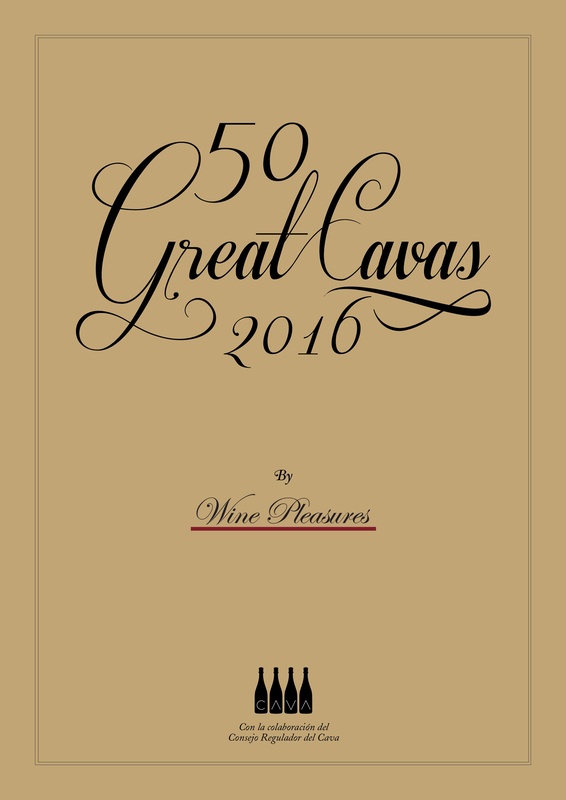 Bodegas Muga offers two fantastic delicate Cavas amongst the 50 Great Cavas 2016>>, which are celebrated in this publication: Cava Conde de Haro Brut Vintage, comprised of 90% Viura and 10% Malvasia, and Cava Conde de Haro Rosé, which is 100% Garnacha. If there was a prize for winemaking destinations, Italy would be a strong contender for first place, at the very least. Renowned for excelling with its cuisine, this Mediterranean, boot-shaped nation also turns a stellar hand to viticulture. Here we look at five of the best wine producing wines in Italy. The hot climate and volcanic soil have allowed Sicily to offer a list of vineyards as long as your arm. A lot of these produce mere table wines, but there are vintages out there. Seek and you will find. Marsala is one such wine and boasts ruby and amber tones. This is a dessert wine and tastes so good that none other than Lord Nelson himself held a penchant for it. He encouraged the local vintners to produce the wine in large quantities. The landscapes of Campania, southern Italy, are the place to look for more powerful wines. Produced in the shin of the Italian boot, you’ll find vineyards on volcanic slopes at high levels, which go on to make wines that feel stronger and as if they pack more of a punch than the wines grown in the gentler climes. And it’s in Campania where you’ll find the wine referred to as the ‘Barolo of the South’ — Taurasi, grown from the Aglianico. It’s also the home of the famous Lacryma Christi (Tears of Christ), the white wine which grows in the volcanic soil near Naples. 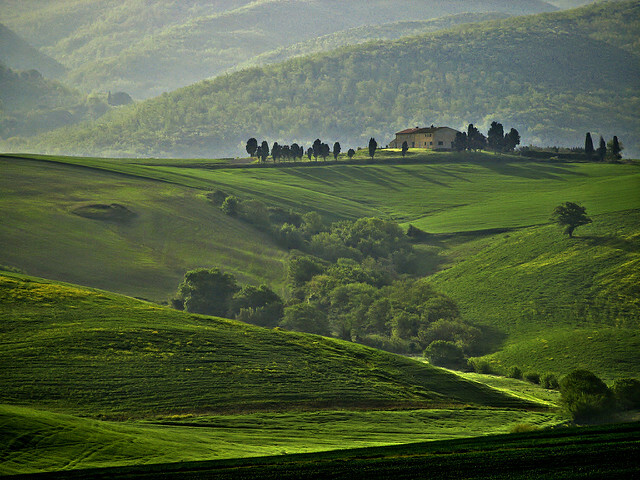 It would be almost criminal to omit Tuscany and Cambria from any list of fine wine producing regions in Italy. Chianti, made from the Sangiovese grape, is the most famous kind of wine in the country and when you hear the name ‘Chianti’, you’ll think of Tuscany, whereas the white Orvieto and the red Torgiano are products of Cambria. Barone Riscoli does a fine Chianti and has been producing wine since the 12th century. It’s one of the oldest wineries in Tuscany. Helping to fly the flag for winemakers in northern Italy is the Veneto region. The hills of Conegliano–Valdobbiadene stand out in particular and have been cultivating the Prosecco vine with stern dedication for more than 200 years now. The Valdobbiadene area can take much of the credit for the wine production, whereas Conegiliano hosts a lot of the wine institutes. Since the steepness of the hills prevents the wine making process from being mechanized, the sparkling wines of the region are the product of painstaking graft by small growers. Piemonte is a high-altitude region near the Italian bordered with France and rich reds with complex flavours make up the majority of its output. The region grows the black grapes of Nebbiolo and Barbera, which go on to find their way into famous wines such as Barolo, Barbera d’Asti and Barbera d’Alba. Looking to experience somewhere that specializes in Barolo, try the home of Guido Porro. The beauty of Italy is that you’ll never grow tired of visiting its wine destinations. Wine making is quite simply in the blood. Walk through the centre of the Capital of Cava, Sant Sadurní d’Anoia, and you will see a multitude of doorways advertising the sale of Cava. Step in and you will be sure to be invited to go underground to see bottles of Cava ageing on their lees and you will most likely finish up with a glass of Cava Brut Nature. Most of these producers are small and have been for decades. Others have left behind their cramped and restrictive cellars and have built brand new modern facilities slap bang in the middle of their vineyards. Cava Bertha (formerly Josep Torres Sibil) is one such example of this migration. Owner and winemaker Josep Torres Sibil started crafting Cava in 1989 and it wasn’t until 2014 that the move to the present vineyard location, just 2 kms out of Sant Sadurní was made. Cava Bertha is clearly visible from the “Cava Highway” (the road connecting Sant Sadurní d’Anoia with Vilafranca del Penedès) but actually getting to it can be a bit of a challenge and a bit of fun at the same time. Drive one way and you have to figure out which vineyard to drive through, drive another way you have fast traffic coming at you as you make a U turn. Once at the winery you are surrounded by vineyards and great views of the mountain of Montserrat and the Subirats Castle. 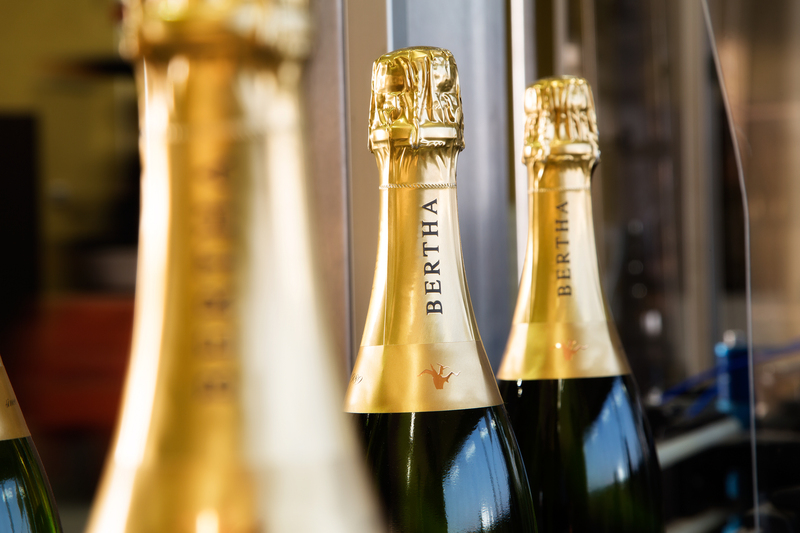 As the winery has only just been built do not expect dark, musty, cobwebbed underground caves, quite the opposite, you will find a practical, clean and well organized work place where Cava bottles can be easily moved around throughout the whole production process. The jewel in the crown at Cava Betha is the possibility of being able to sit outside on the terrace and taste Cavas in the middle of vineyards and admire the panoramic views. A windowed tasting room is available in the event of rain and/or if it is a bit chilly outside which affords the same views that you get from the terrace. Josep clearly had wine tourism in mind when he gave his architect the brief on how he wanted his winery to be built. 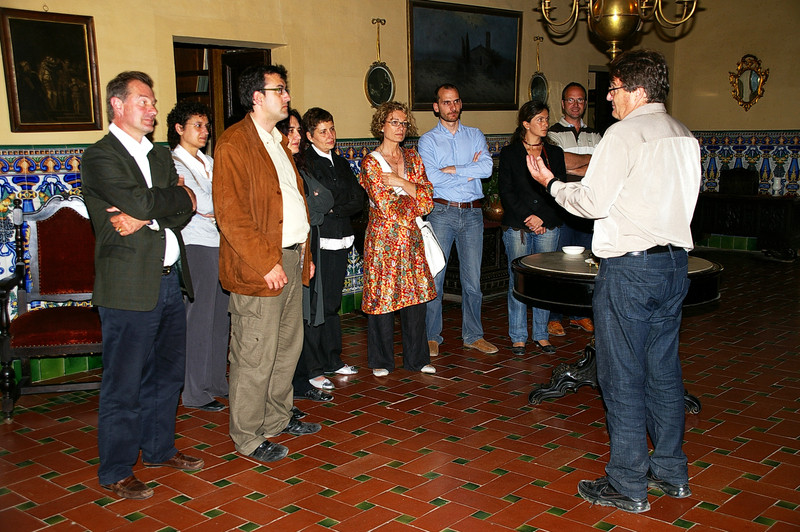 Several visit options can be found on the web site including “ A Catalan Breakfast in the Vineyards” which consists of local cured meats, cheeses, breads, olives and coca (not the Colombian kind but the sweet pastry bread kind typical in the region) all washed down with any or all of the Cava Bertha Cavas included amongst the 50 Great Cavas. The extravagance ends with a visit to the winery, that is, if you are able to get up. 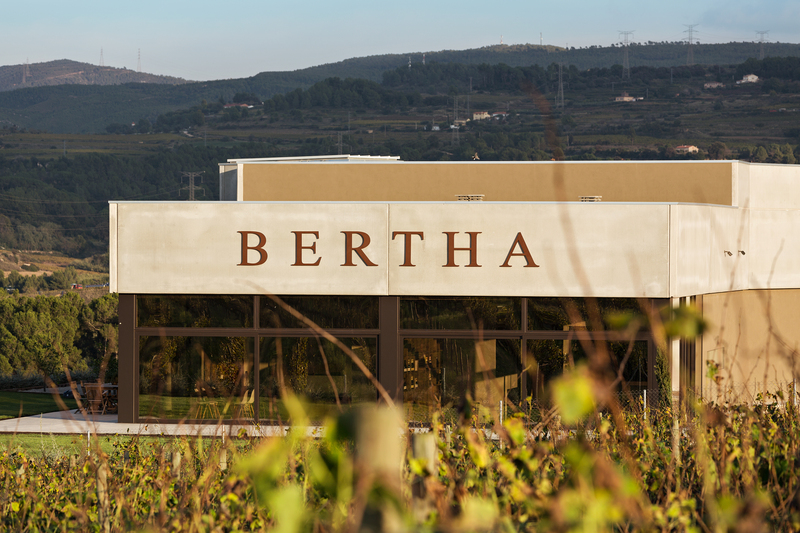 A healthier alternative is the Bertha & Fit which consists of a bike ride, run or walk amongst the seven hectares of Chardonnay, Macabeo and Xarel.lo. Yoga too is available upon request. 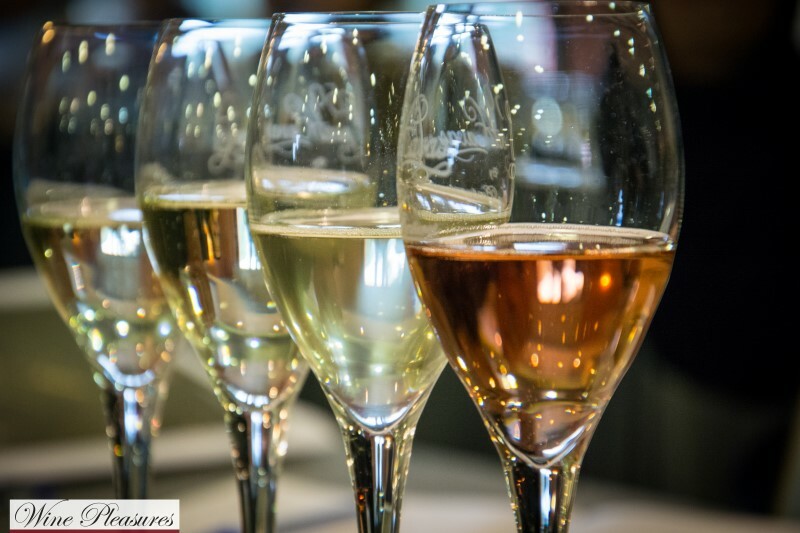 A visit to Agustí Torelló Mata winery in Sant Sadurní d’Anoia is an insight into the development of the Cava industry in Catalonia and one of the many prestigious Cava producers in Spain. 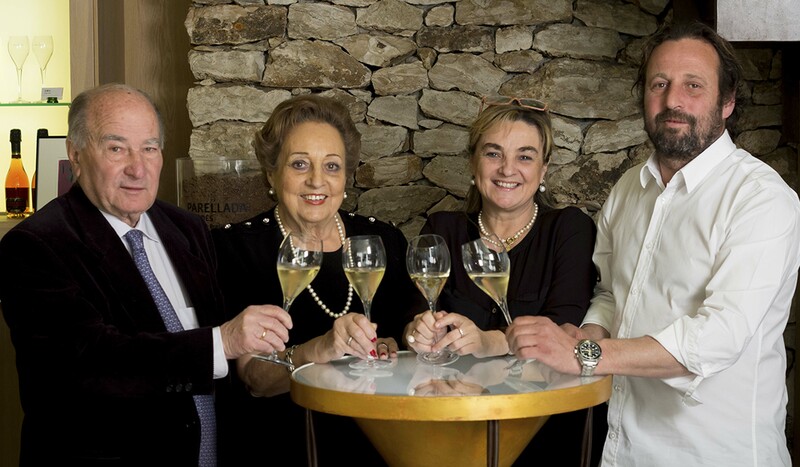 The winery was founded by the extraordinary Agustí Torelló, who despite being born into a family of tailors and musicians has made Cava his profession for over five decades. 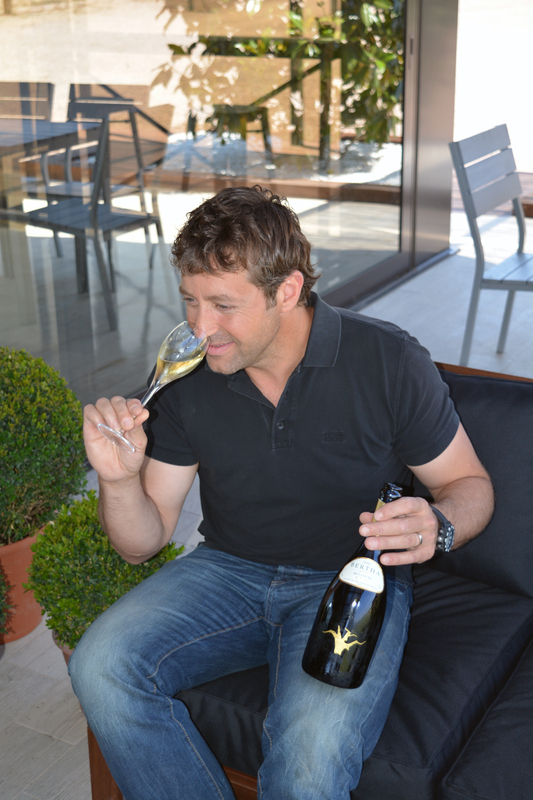 Working with his uncle from the age of 13 at a now neighbouring Cava producer, laid the foundations for a career in the production of quality Cava. Consequently, Agustí Torelló set up the first wine analysis centre in the region and established a promotional body, the Cava Guild, in the 1950’s. Additionally, during this time he also managed other international Cava brands all of which advanced his reputation for excellence on the international stage. Agustí Torelló Mata Cava reflects the unique terroir of the Penedès. 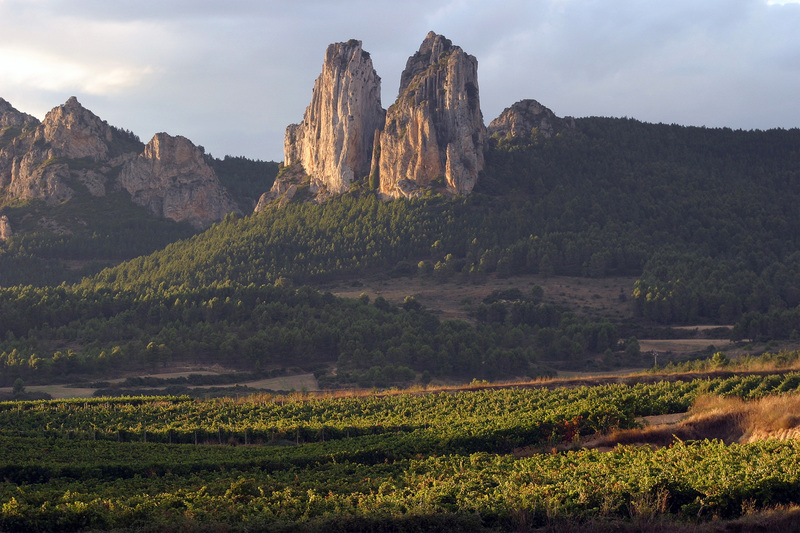 The geological structure that makes up the Penedès, produces three distinctive viticultural areas each with its own wide variety of soil and micro climate. At Agustí Torelló Mata, local grape varieties are planted in the region where they can grow to their optimum in the most favourable conditions. The Macabeo variety is grown in the Penedès maritime zone, Xarel·lo in the central zone and Parellada in the upper zone of the pre coastal mountain range. Great effort goes into the production of the winery’s Reserva and Gran Reserva vintage Cavas which are hand crafted from the winery’s own blends. Sustainable and ecological viniculture is practiced and organic treatments are used on the vines. Grape yield is limited to ensure the quality of the grape and the harvest is gathered by hand at the optimum moment of ripeness to ensure a perfect balance of aroma, sugar and acidity. 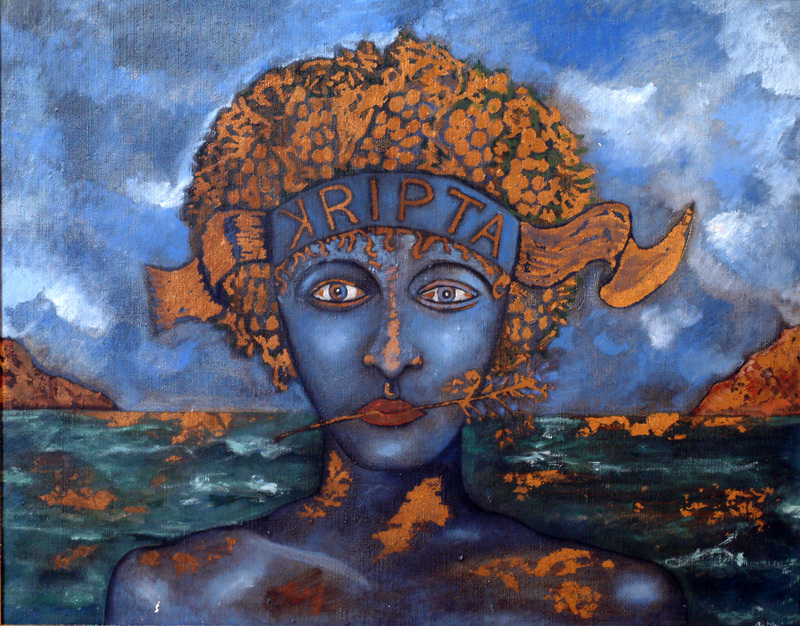 The showpiece of the winery is the celebrated Kripta Cava, created in the 1970’s. 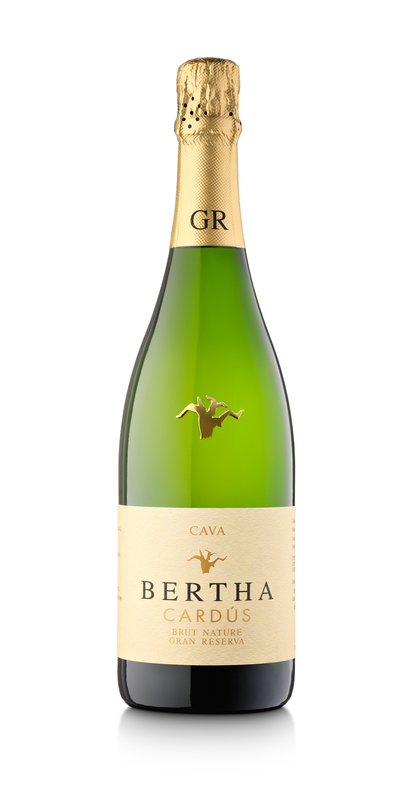 It is aged for 5-6 years on its lees to produce a full bodied Cava. 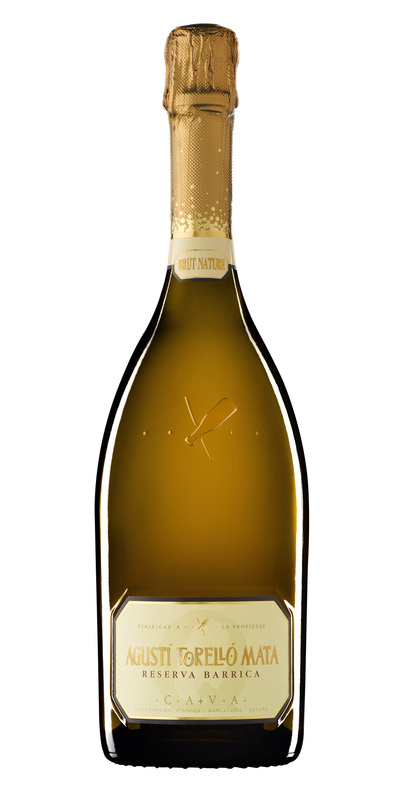 Undoubtedly a collector’s Cava, the amber green bottle is reminiscent of a Roman amphora and the label has been created by artist Rafael Bartolozzi. 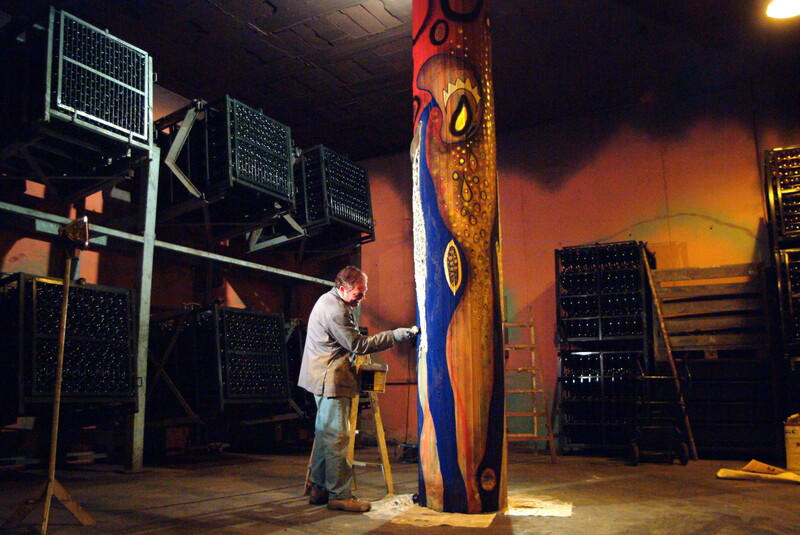 The relationship between renowned Cava production and modern art further extends to the winery itself. Agustí Torelló Mata is home to contemporary installations and art work, dotted around the sleek, modern setting. 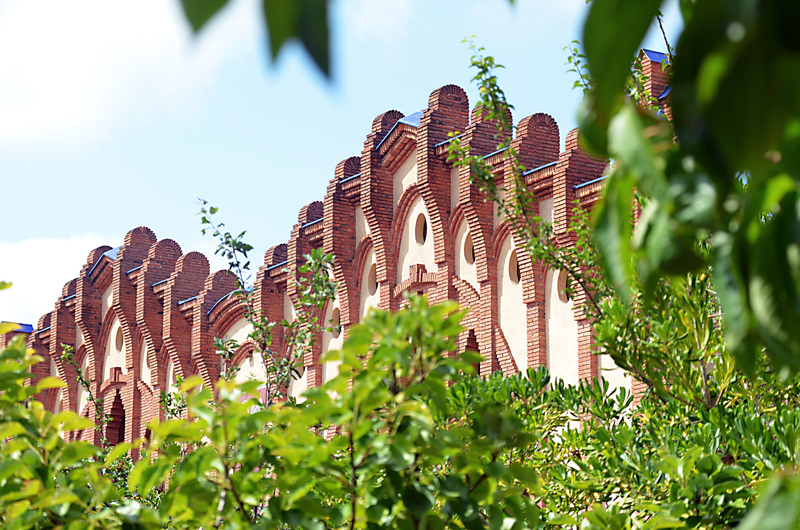 Entering the winery, a spectacular fountain, created from the amphora-shaped Kripta bottles, greets the visitor and sets the scene for further contemporary sculptures and video installations showcasing grape growing and Cava production through the seasons. As the call for Cavas for the presigious annual competition 50 Great Cavas is underway so too is the formation of the judges for the competiton. The International Wine Tourism Conference saw Sarah Jane Evans MW head up the Grand Cava Tasting featuring 8 Cavas, 6 of which amongst the 50 Great Cavas 2016 and the decision to have a Master of Wine lead the tasting was well received by both the 200 strong audience and the producers. “Having a Master of Wine take charge of the tasting was clearly a good decision and so with 50 Great Cavas 2017 on the horizon we thought we should continue down the MW road and get one on board for the tastings scheduled for the 2017 edition” said competition Director & panel taster Anthony Swift. “Of the 338 Masters of Wine on the planet we thought we ought to approach first the only one living and working in Spain which is Flying Scotsman – Norrel Robertson” added Swift. Norrel Robertson MW has been making wine in Spain for over 12 years and is currently the only Master of Wine living and working in Spain.He owns over 10 hectares of Old Vine Garnacha, Macabeo and Syrah around the village of Villarroya De La Sierra, in the Comarca of Calatayud, Aragon. 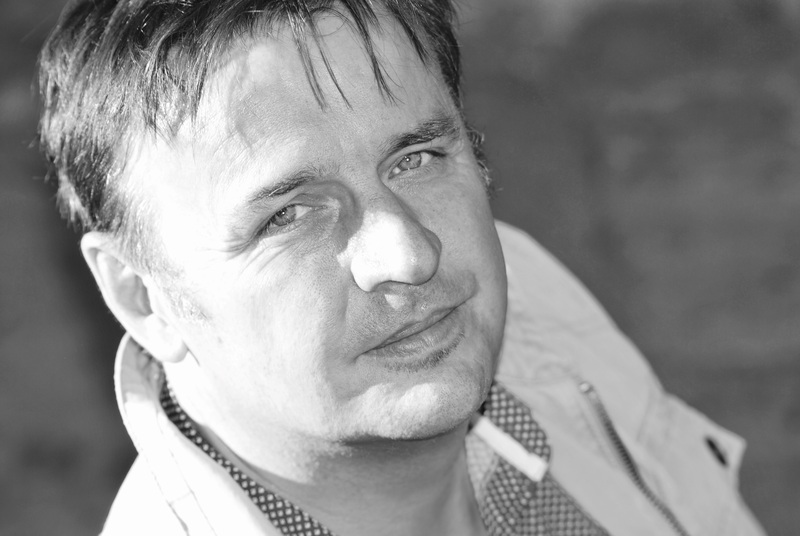 Norrel was born and raised in Scotland and, after graduating from Aberdeen University with a MA Honours degree in Politics and International Relations, has worked in the wine industry for the last 20 years, starting in sales, buying and product development. In the lat 1990´s Norrel decided to pursue a career in winemaking and decided the best way was to work and learn from the cellar up. Norrel went on to work vintages in Chianti in Italy, Portugal, Australia, France and Chile. From 1998 to 2000, Norrel embarked on the Master of Wine Course and became a Master of Wine in November 2000, winning the Robert Mondavi Award for the best overall theory performance in the exam. In 2002-2003 Norrel studied the Postgraduate Viticulture and Oenology course at Lincoln University in Christchurch, New Zealand, obtaining his postgraduate qualification with distinction. In 2003, he moved to Spain as Winemaker for International Wine Services and quickly fell in love with the old Garnacha vineyards in the area of Calatayud, Aragon and decided to start making his own wines. His company – EL ESCOCÉS VOLANTE SL (The Flying Scotsman) took off and Norrel now currently produces many award winning wines made from very specially selected vineyards at high altitude in Aragon, Spain and also has winemaking projects in Murcia, Extremadura, Castilla y Leon ,Galicia, Murcia & South Africa. 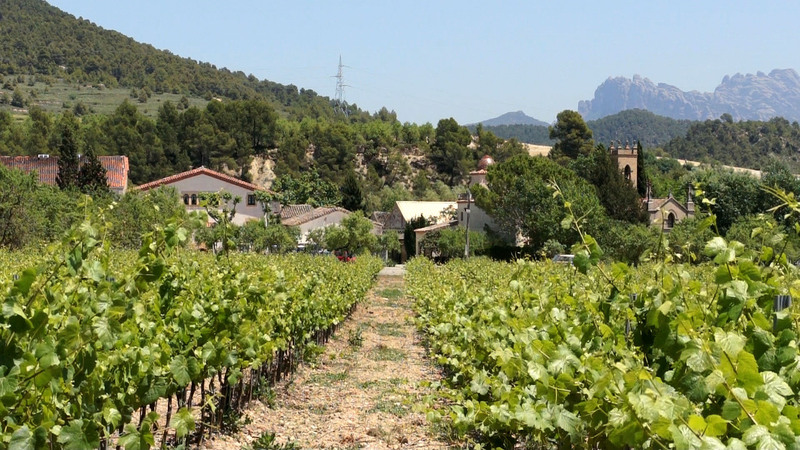 Adernats Vinícola de Nulles (Adernats for short) is the direct result of a community’s efforts to pull together in the wake of the devsastating phylloxera plague which ravaged Catalonia’s heritage vineyards in the 19th century. In 1900, the inhabitants of Nulles resolved to pool their resources and over a hundred years of expertise to create a cooperative and build a village cellar. The idea of a village cellar suggests a modest construction, however, the cooperative engaged the services of Catalonian architect, César Martinell, a modernista and disciple of legendary Antonio Gaudí, to build the Nulles Wine Cathedral. This emblematic building is one of the greatest examples of the modernist movement. The design and construction respects both local materials and traditional construction methods. 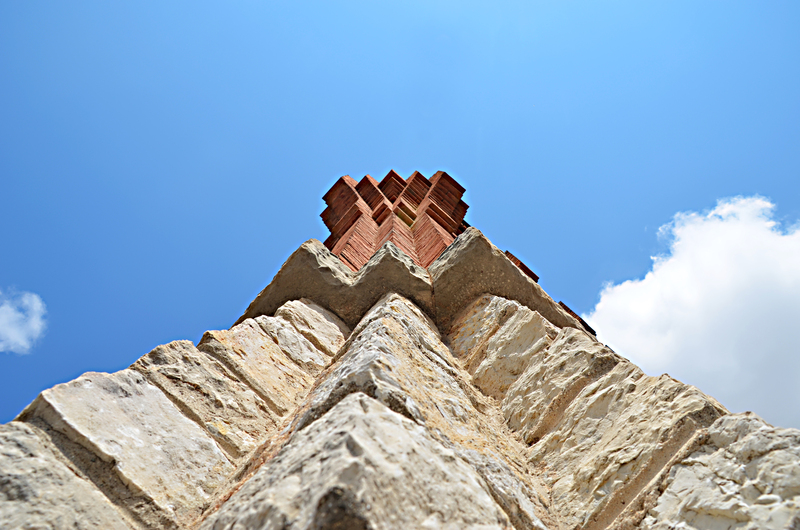 It was built using lime and clay from the vineyard, and so integrates the building into its environment. With its modern contours and facades of exposed brick, Adernats represents a rustic sensibility balanced with exceptional elegance. The building is not only beautiful, but also functional. Tall tapered windows and smaller oval windows near the ceiling allow light to flood the winery highlighting the beauty of the building’s most distinctive feature, the parabolic arch. Immense wine tanks which take up the majority of the building have been designed to maintain the constant temperatures needed to preserve the quality of the Cava. Brick arches on which the tanks were built allow air flow to dissipate carbon dioxide buildup. In Nulles, it is believed that the best Cava begins in the soil. Generations of knowledge of the soil produces grapes and ultimately a Cava that represents the land. Nulles is 12kms from the sea. Many hours of sunshine, low rainfall and a sea breeze creates a warm, temperate Mediterranean climate. The rich clay and lime soil is planted using a traditional system al vas which produces a high quality grape from the vine. 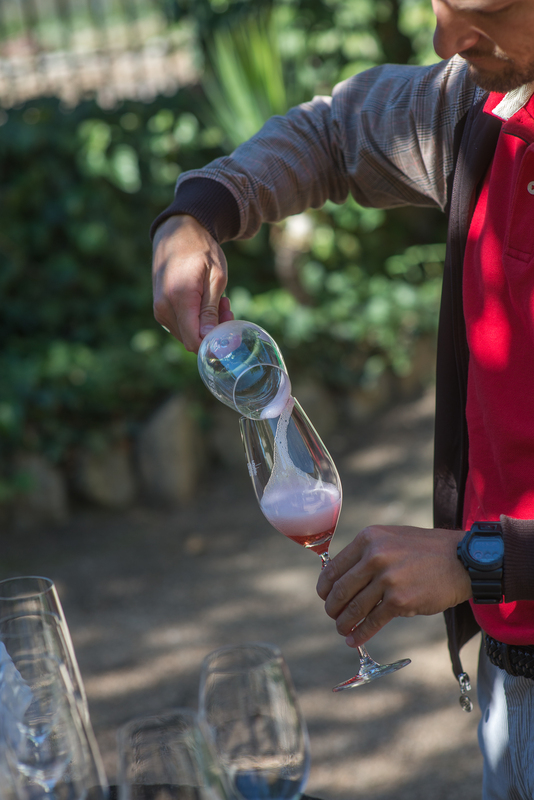 Visitors can enjoy a range of experiences, from professional tastings, to day visits and Vi-Nit-Cultural, a sensory experience combining culture and Cava. The Vi-Nit-Cultural expeience, of interest to lovers of both architecture as well as Cava, begins in the evening with a glass of Cava in the vineyard. This is followed by a themed, candlelit tour of the ‘Cathedral of Wine’, accompanied by music. A sensory dinner, created by a prestigeous regional chef and prepared using local ingredients ensues. Dinner is paired with the finest Adernats Cava. Adernats is open daily for visits. Este año se celebrará la sexta edición del concurso de Cavas. La convocatoria para participar está abierta hasta el próximo 27 de mayo 2016. Pueden inscribirse todas los espumosos de España incluidos en la DO Cava. En el mes de julio varios expertos de todo el mundo catarán y evaluarán los Cavas presentados para determinar cuáles son merecedores de estar entre los 50 Cavas mejor puntuados (50 Great Cavas) y de los 50, cuáles son ganadores de las dos categorías de medallas que se otorgan en este certamen, Medalla de Oro y Medalla de Plata. 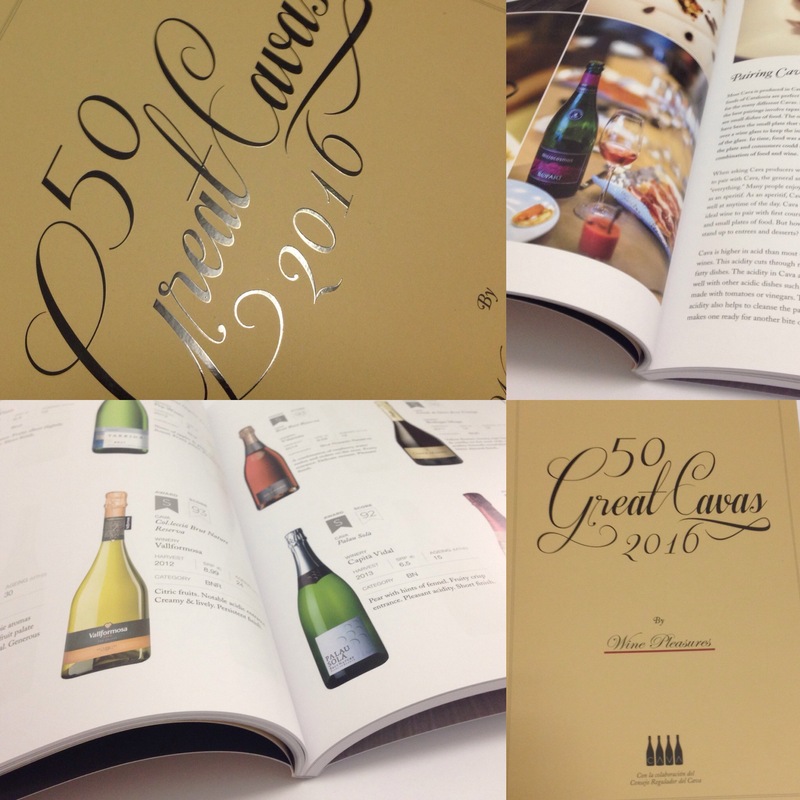 Los resultados y notas de cata serán publicados a partir de Octubre 2016 y serán denominados 50 Great Cavas 2017 por lo tanto es importante que los Cavas presentados tienen añadas con recorrido ya que muchos importadores de vino consultan los resultados con la finalidad de hacer pedidos.